More production for every square meter is one of the characteristics of this strain. 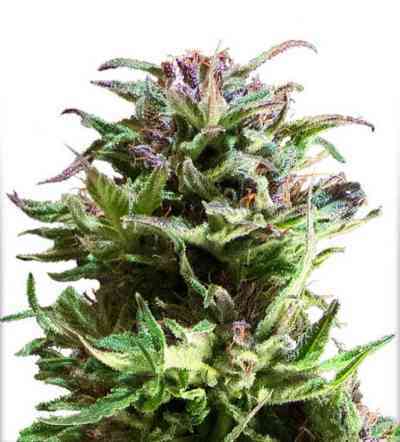 KC Brains combined the best qualities of those sativas, indicas and hybrids and developed a new sativa dominated cannabis variety which can be cultivated in most parts of the globe. All KC Brains’ cannabis seeds are known for their proper selection. Brains Damage is not an exception, though this particular strain was developed for outdoor growing, she shows great indoor results too, in pots and soil. 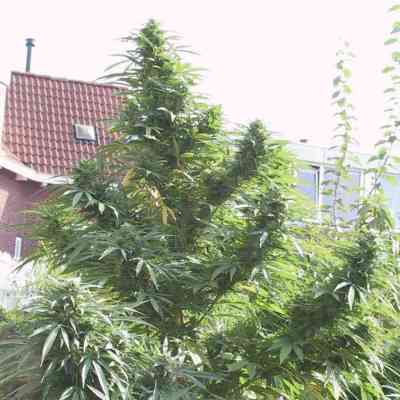 Like any other sativa dominated cross, this marijuana strain produce tall healthy plants with long narrow glossy leaves. The leaf to bud ratio is so well balanced that both have enough space to fully develop. 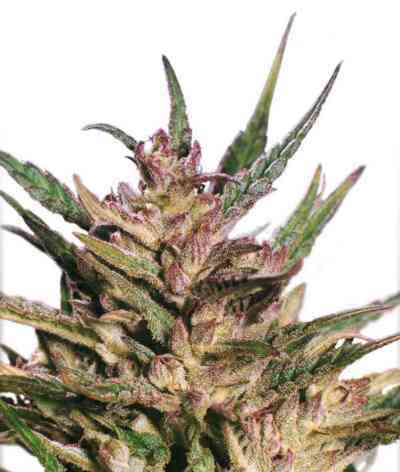 She is one of those sativa hybrids which produce plants of manageable size with a short flowering period and a great yield – her flowering time varies from 8 to 10 weeks; height when grown indoors is 90 cm and up to 2 m outdoors; and a yield up to 140 gr. from indoor varieties and 900 gr. from outdoor ones. Amount of THC is said as high as 18-20%. She is ready for a harvest at the end of September with a fantastic growth cycle. This marijuana strain is great for a late harvesting. At the middle of a maturing period, the Brains Damage plant’s fresh fruity and slightly hash aroma is gradually becoming more intense and tempting.